Network Therapists specializes in meeting the computing needs of your small or medium sized business. Computers, software, and networks don’t always behave properly and we have the expertise and skill to get your technology investment on track. Not every business can afford or even needs a full-time Information Technology (IT) staff. Many businesses just require someone on an occasional basis for specific solutions. 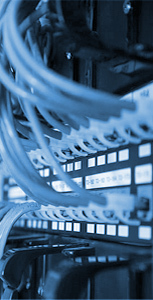 Network Therapists provides consulting on an individual solution or project basis, or can provide ongoing maintenance and administration of your technology. By saving you time and money, Network Therapists can reduce your overall business costs. If your business currently staffs IT workers, we will work with them to provide solutions and savings in-house staff sometimes cannot accomplish. 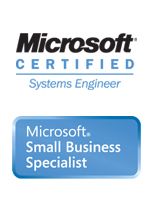 Network Therapists is a Microsoft® Small Business Specialist. We specialize in delivering solutions for small business. Read more about this designation at Microsoft.com. We are only the second business in Kentucky outside of Louisville to receive this important designation. Being a small business ourselves, we can relate and understand your business needs unlike the big consulting companies. Copyright © 2009 network therapists, Inc. All rights reserved.